The trail is a bit bumpy so please be prepared for a few judders. Celebrate the end of the ride with at a BBQ at the Lake Ferry Hotel. 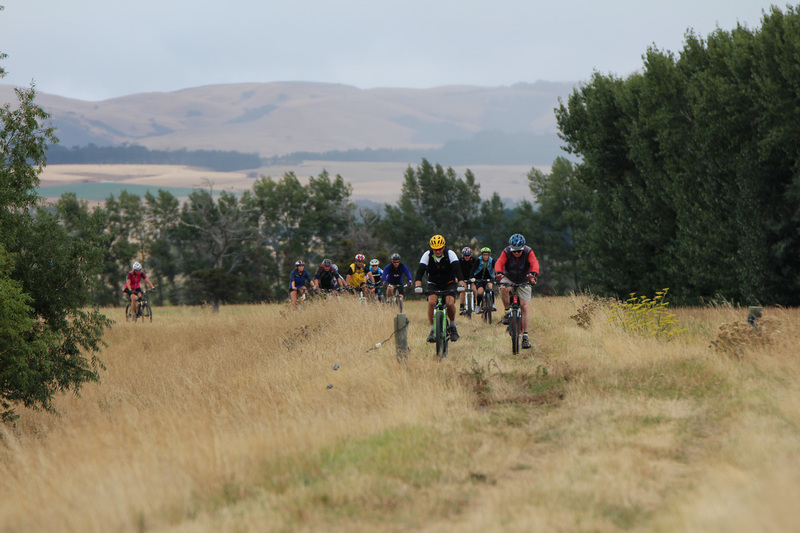 Registration includes BBQ and transport of riders and bikes back to Martinborough. The ride shouldn't take more than 6 hours to complete. A level of endurance will be involved – it’s about 53km mostly off road – you will need to be moderately fit and have ridden a mountain bike off road previously. Wear suitable clothing dependant on the weather forecast – bring a bag to put unused clothing in. Do not bring any DOGS. Be a tidy Kiwi. You must carry out whatever you carry in. Disrespect for land crossed could jeopardise the future potential of this awesome ride. The ride will involve lifting your bike and yourself over a number of styles or fences – so please ensure that you or a riding buddy are capable of doing this. Anyone with a significant health issue that may impact their endurance should not to take part, or does so at their own risk – the ride is a strenuous ride with a moderate level of fitness needed. A mountain bike is required for the terrain. We recommend you have you bike serviced beforehand. Please carry a spare tube or two, a puncture repair kit and a pump. HIGH FIRE RISK - ABSOLUTELY NO SMOKING or other activity that could start fires on the trail. Most farmers have agreed not to have stock on the stop bank. If you do encounter any livestock, particularly cattle or bulls, and they appear spooked – stop and walk your bike cautiously ahead until the cattle pass to the side – please tell the next marshal where you encountered livestock . Be calm, do not frighten or intimidate livestock. If you think it’s not safe get over the nearest fence. If you or anyone else is seriously injured phone 111 and ask for ambulance. Please also phone the event convener Rob Irwin on 021 231 9173 (put this number in your phone now) – there are some spots that have bad cell coverage – get someone to cycle on until coverage is available. Note where the injured person is in relation to the event map provided and inform the ambulance operator. For less serious injuries we suggest you make your way, asking other riders for assistance if required, to the closest exit point and wait for the pickup or phone the event convener, Rob Irwin on 021 231 9173 to arrange assistance. Water – it is a long ride on flat but challenging terrain, we recommend carrying up to 2 Litres. Food – Bring snacks and a lunch to sustain you during the ride, there are lots of lovely picnic points. First Aid Kit – you may wish to carry a small first aid kit in case of minor incidents. First aid kits will be carried by marshals. Cellphone (with GPS) – Very helpful to pinpoint where you are on what is sometimes a remote trail.